In this running modern technology of gadgets and Consumer Electronic(CE) Devices, They need battery life and can not survive with out charging these devices after the battery gets reduced. In this state, It looks seriously disappointing when there is no source of power available for charging these devices when in emergency. There may not be power source available in places like Trains and there would be a halt in our work. There comes a solution for this situation by Lilliputian Systems. Lilliputian System launched their new project of mobile power systems, Nectar. 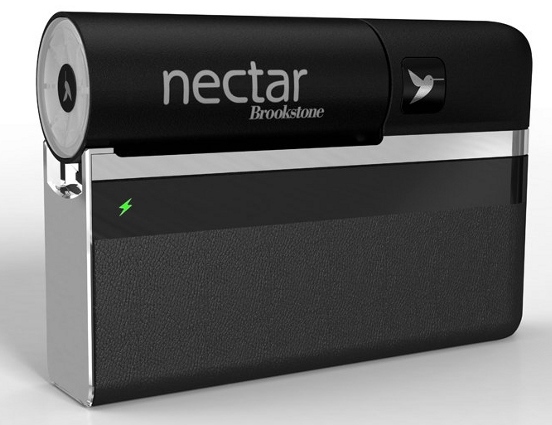 Nectar is the world's first portable power device which powers almost all the devices up to two weeks. Any USB 2.0 device can be plugged into the Nectar and charged with out any use of power outlets. Nectar has it all. Nectar is a device like a wall out put but in your pockets. 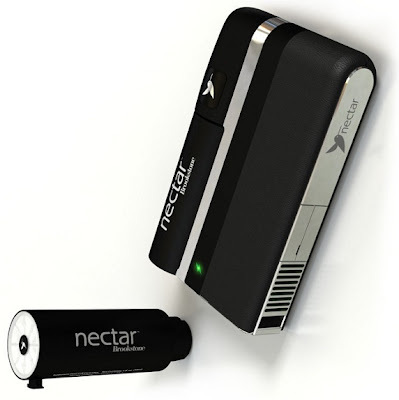 Nectar is a 'Plug-Less' Light weight, Portable device which can provide power to electronic devices like Mobile phones, Tablets, Mp3 players and Bluetooth head sets, Digital cameras and many other such devices. Can supply a power for CE devices up to 2 weeks. 6 times more efficient than normal wall outlets. Recyclable, Not so expensive, Easy to use. Nectar has a weight of 200g, with a pod of weight 35g. When your device is out of battery, All you need to do is simply insert the pod, then plug in your device using USB cable and that's it. You are done, also no need to worry about charging for 2 weeks. Nectar can also provide Instant charging with an option of it available on the device. Finally using Nectar, There is no use of a wall outlet for providing power to your device, No need to leave your device there for hours. Users can simply carry their own device in their pocket supplying them power at the same time. Here are members of Lilliputian Systems. Ken Lezarus - President & CEO, Mike Umana - CFO, Sam Schaevitz - Founder & CTO. TechSoulz would like to thank the Lilliputian System team for giving birth to Nectar.